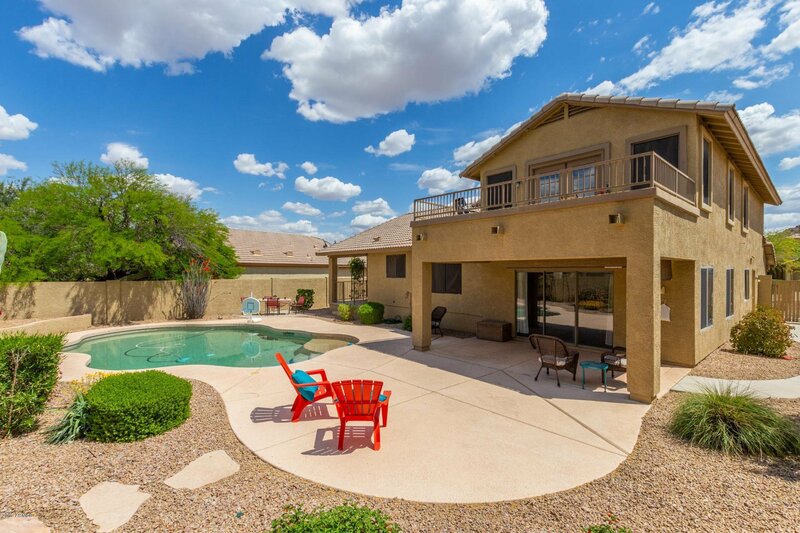 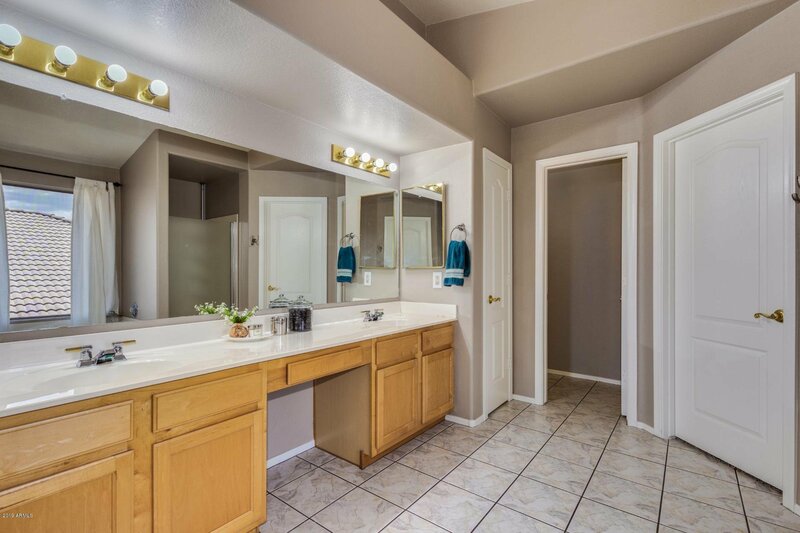 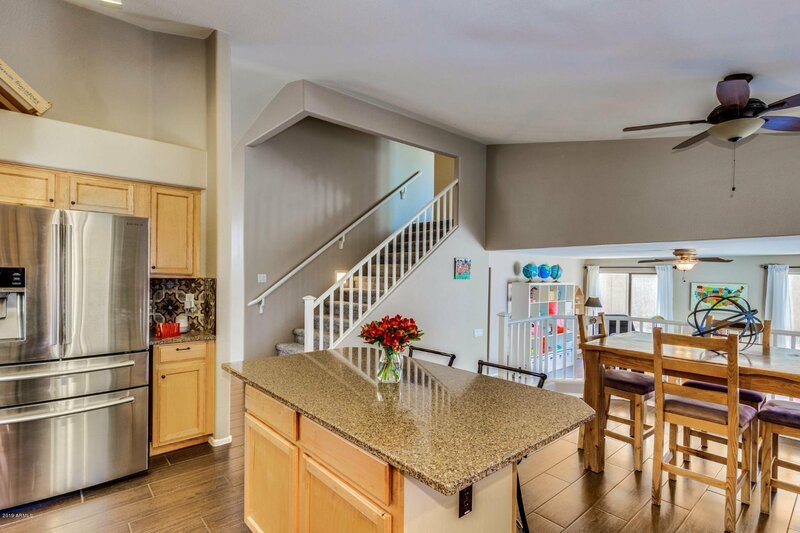 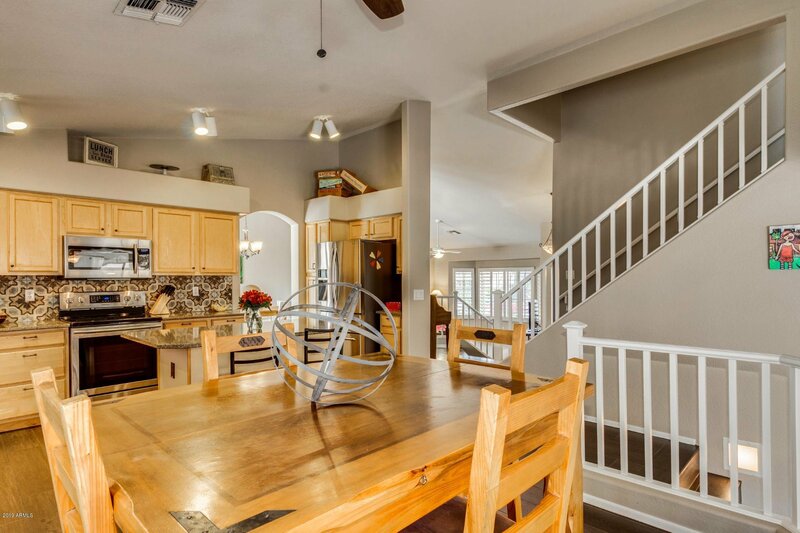 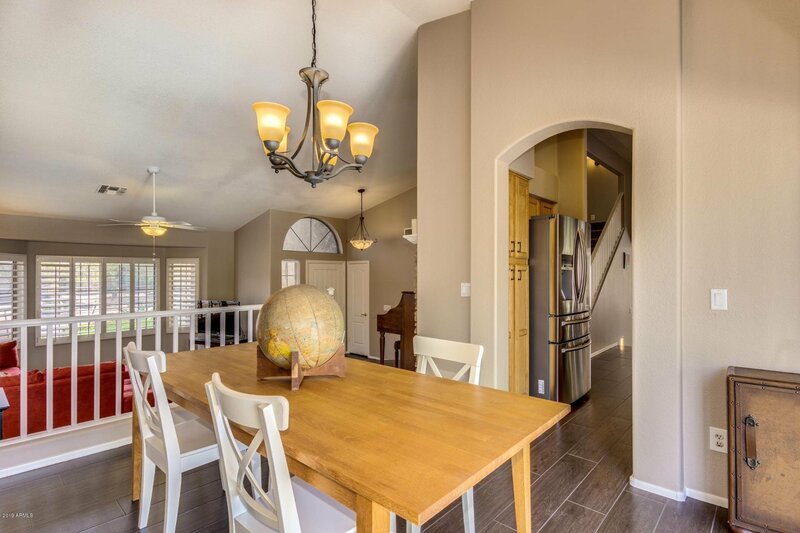 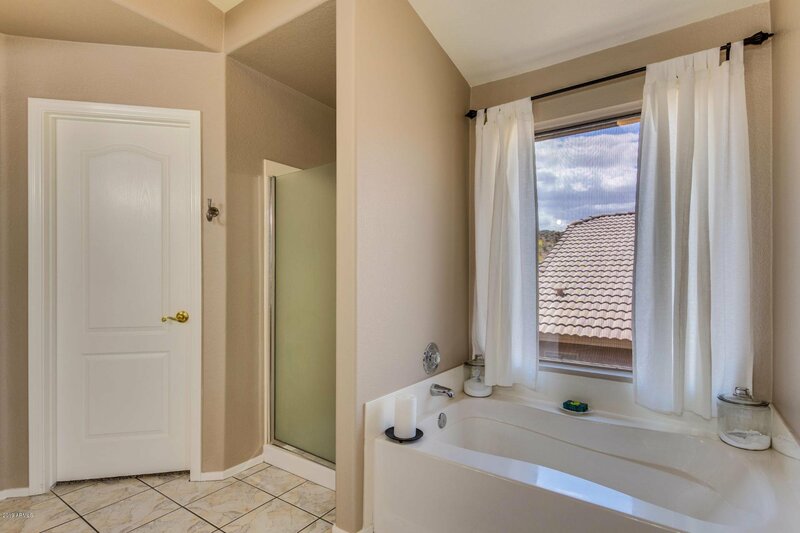 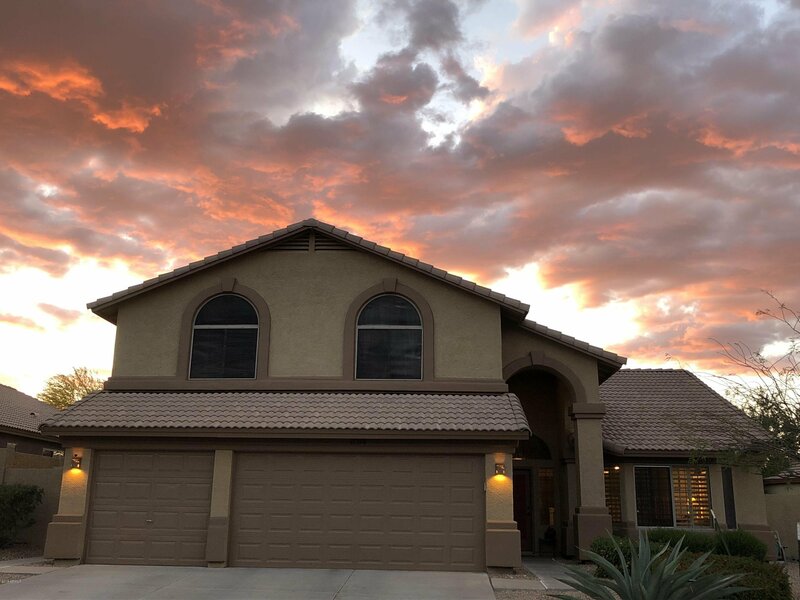 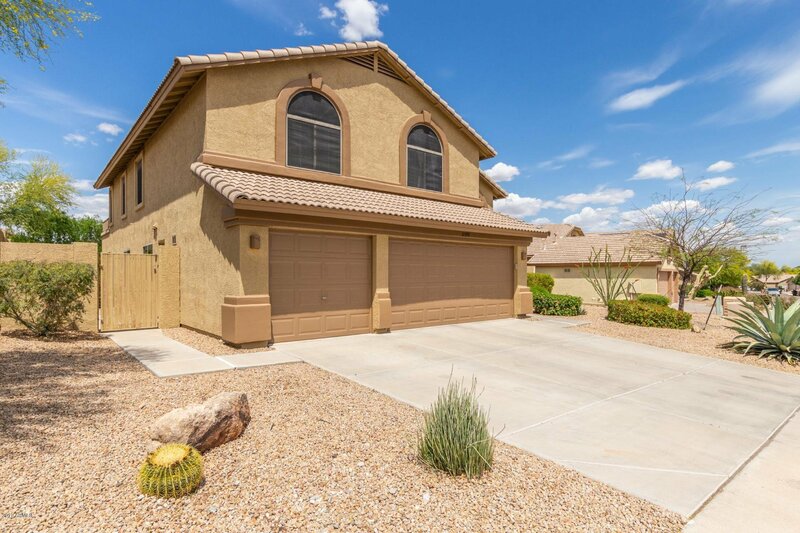 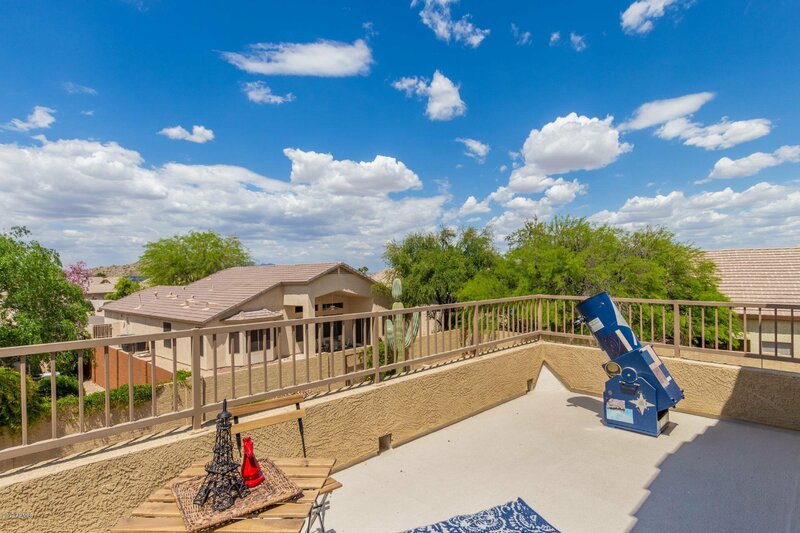 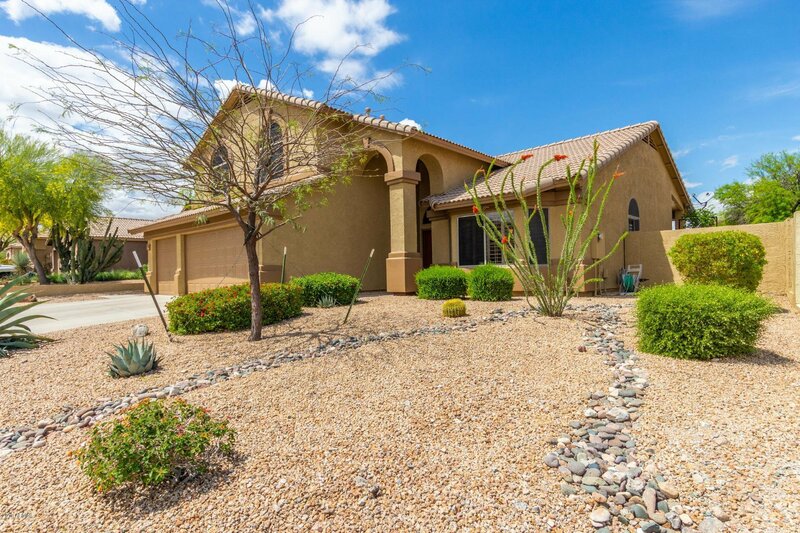 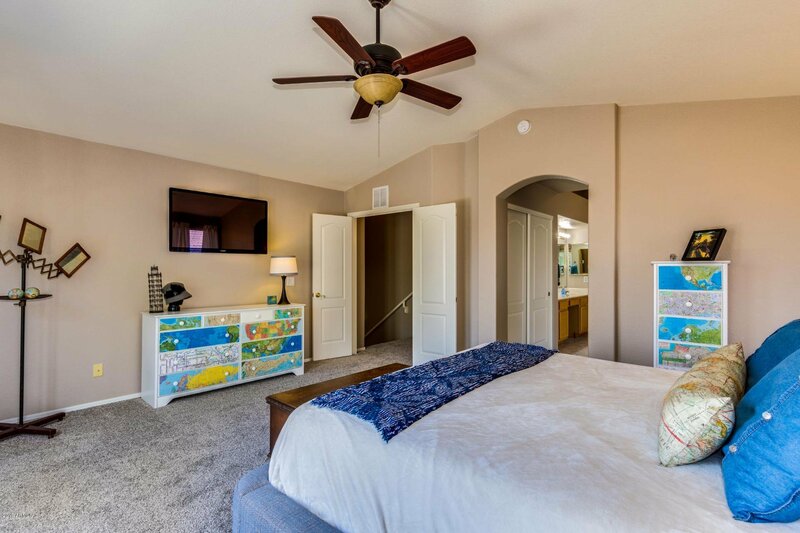 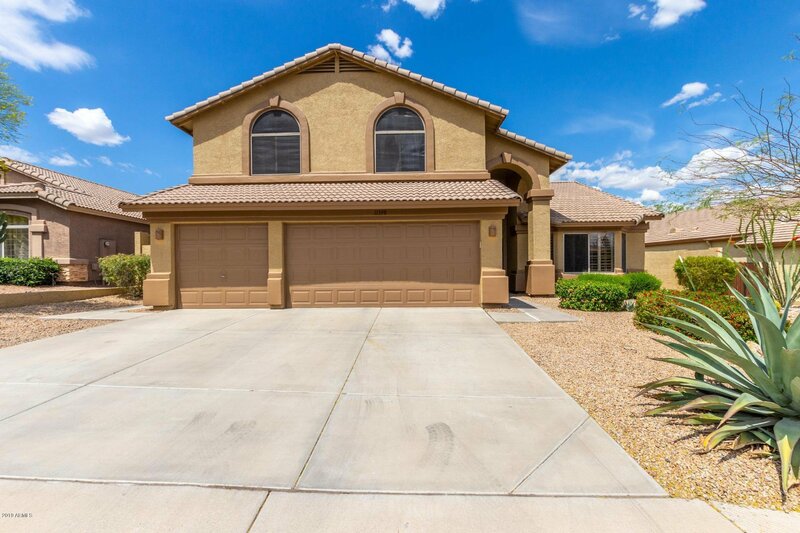 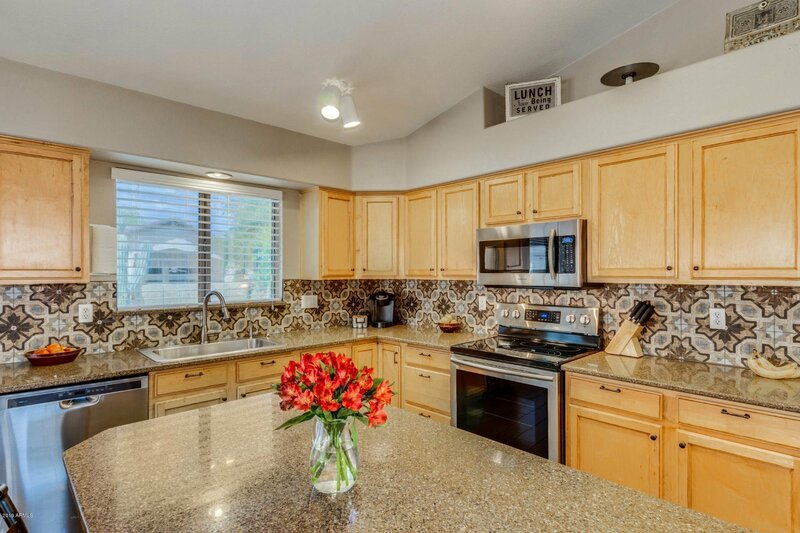 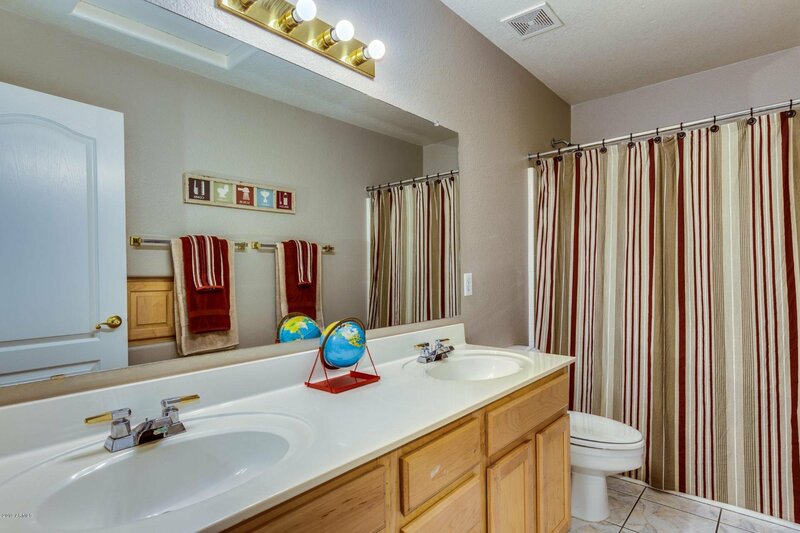 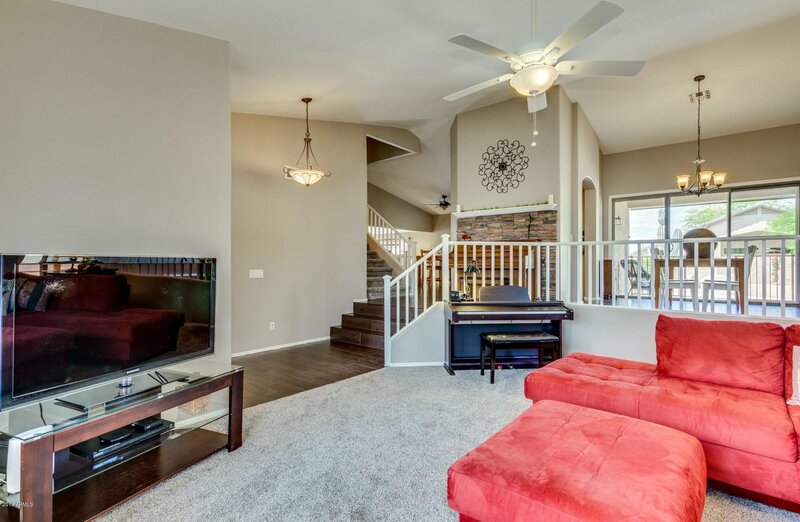 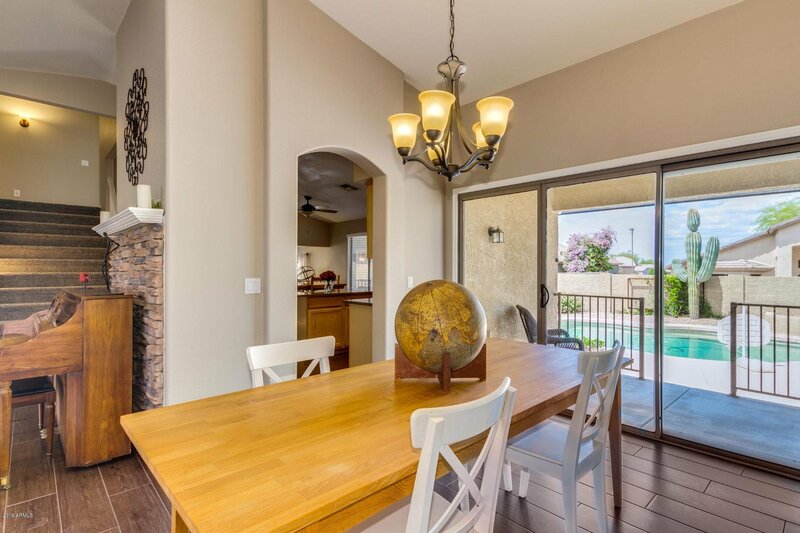 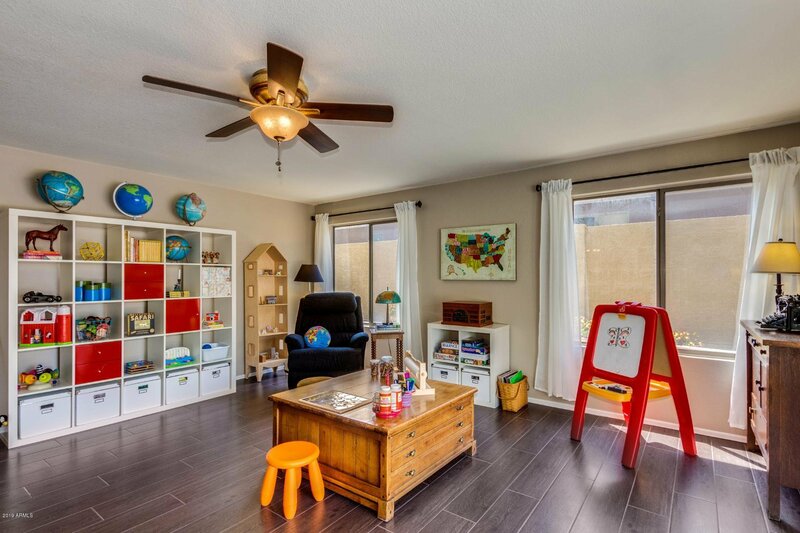 Beautiful 4-bed, 3-bath home in desirable Estrella Mountain Ranch has generous living spaces and storage galore. 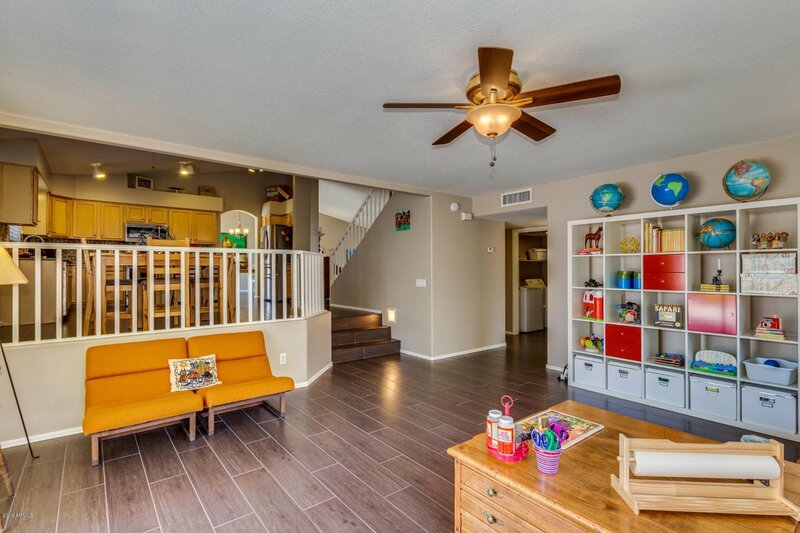 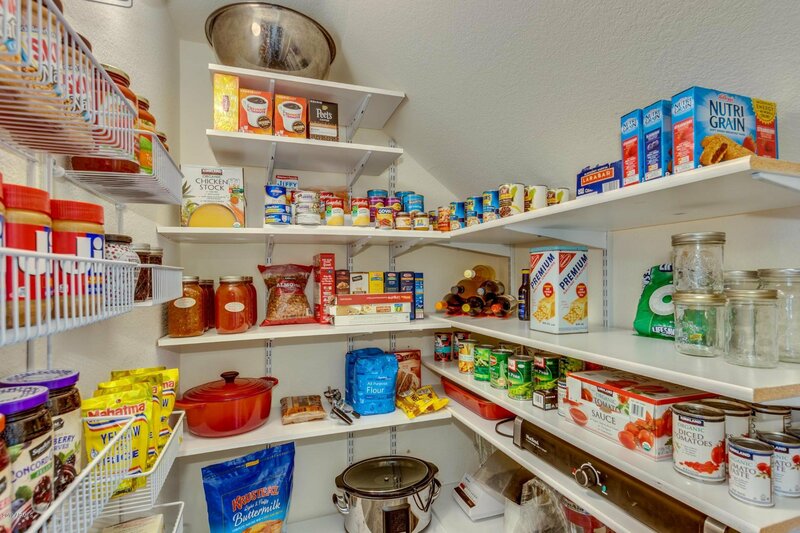 Inside is bright and well-maintained. 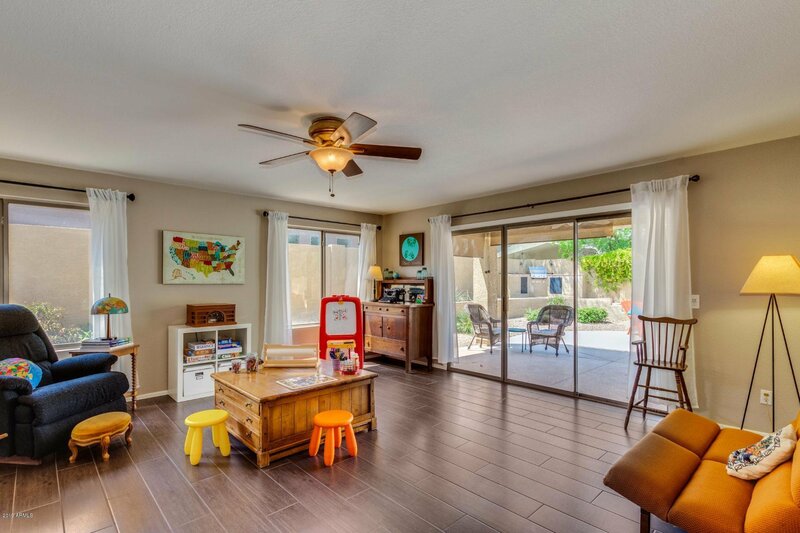 Flowing floorplan offers separate living and family rooms and a sunny formal dining area. 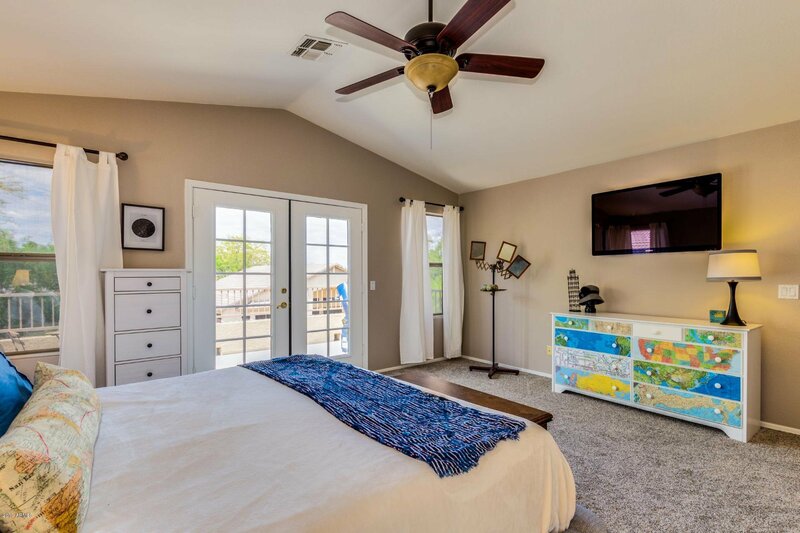 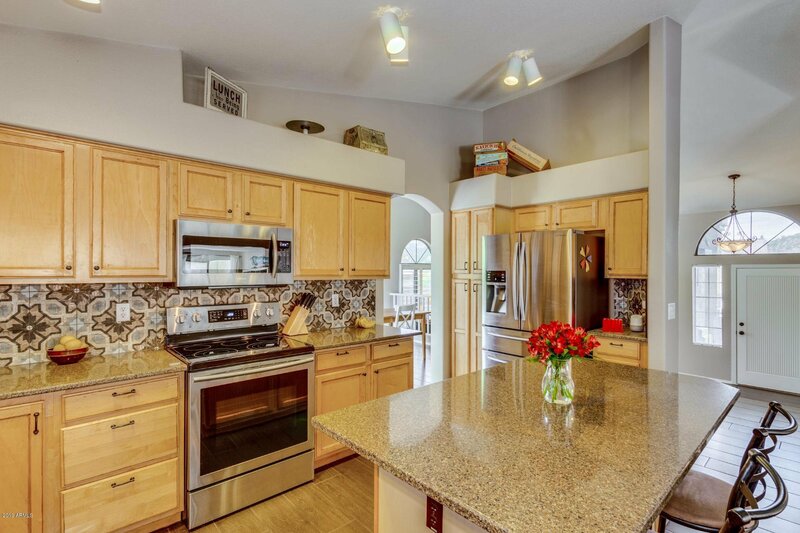 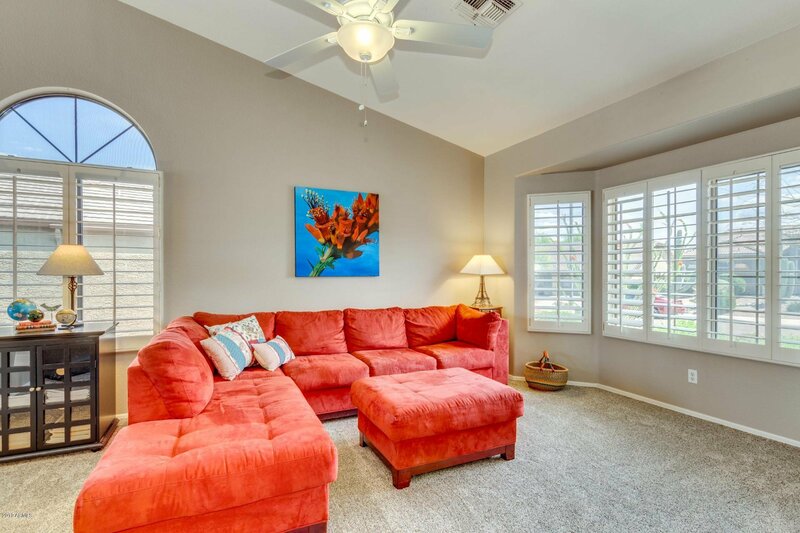 Vaulted ceilings, plantation shutters, wood-plank tile floors and new plush carpeting. 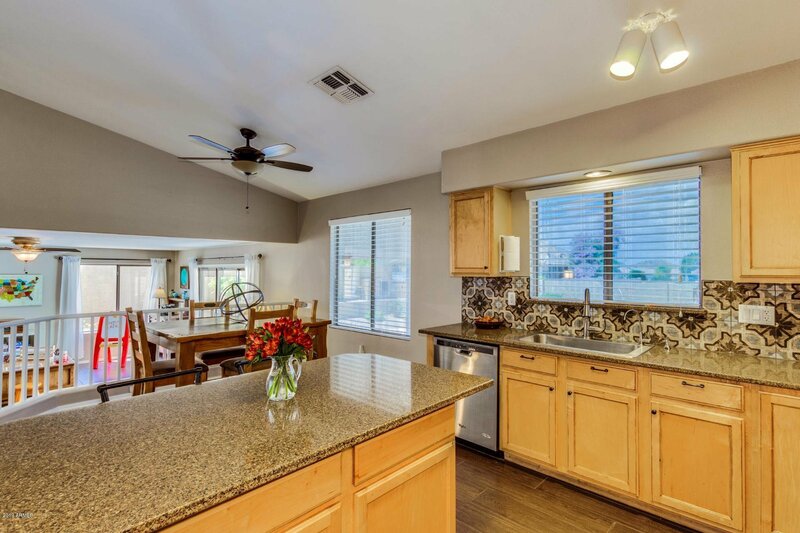 Overlooking the family room, stylish kitchen has quartz counters, ss appliances, artistically tiled backsplash and island/breakfast bar. 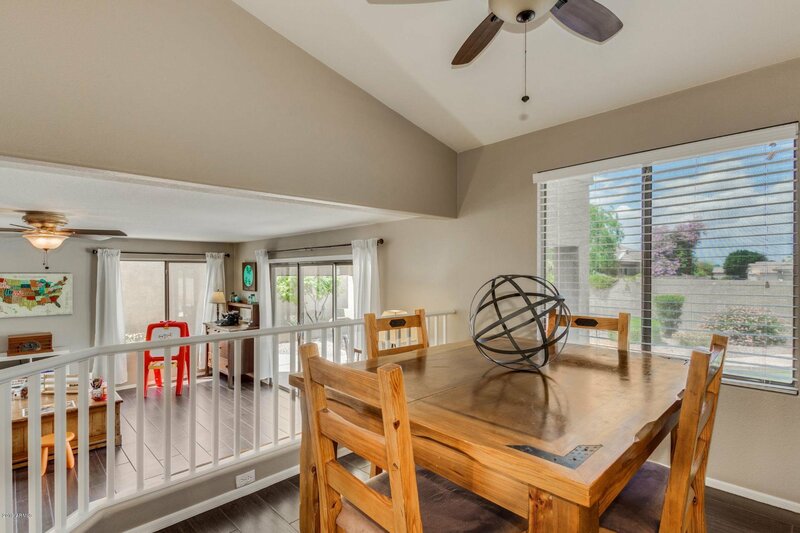 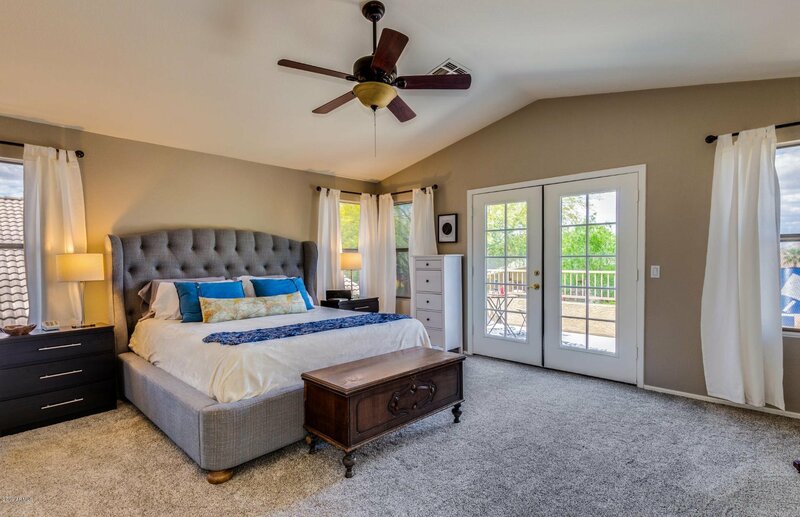 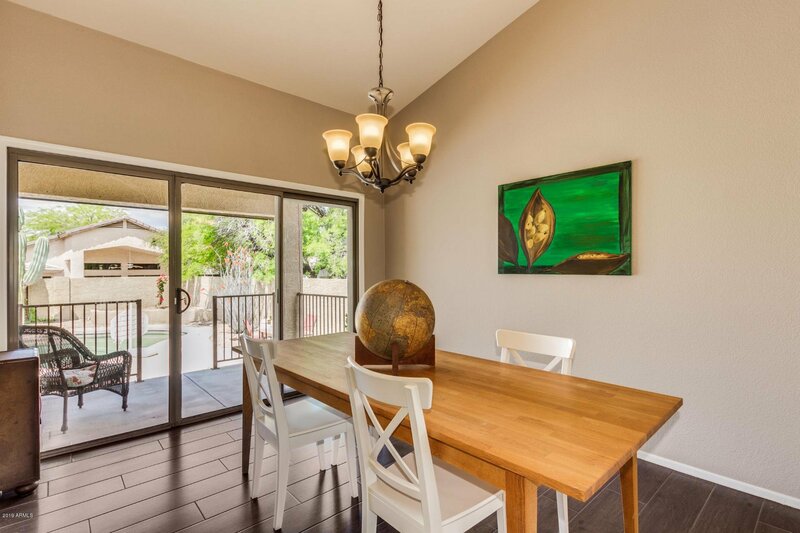 Upstairs master boasts French doors leading to large balcony. 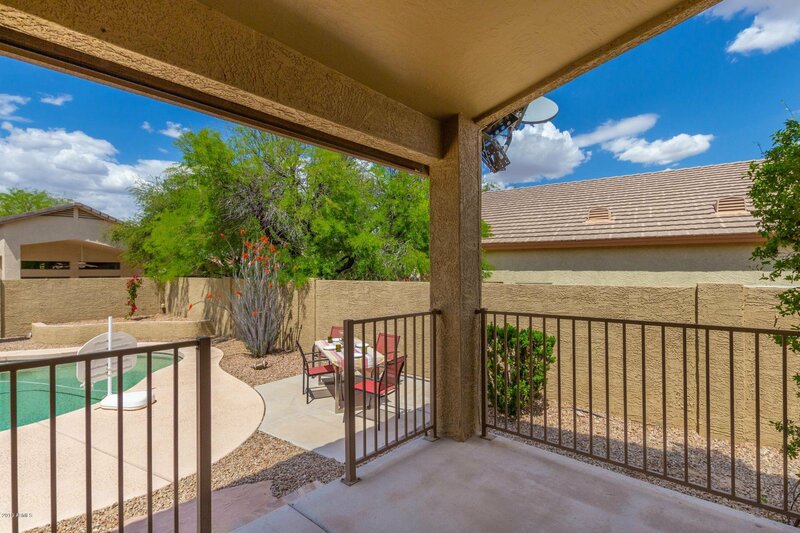 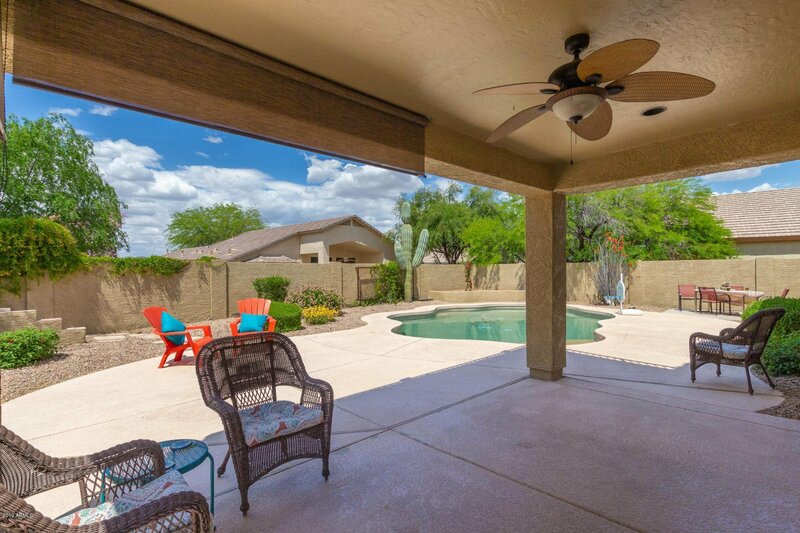 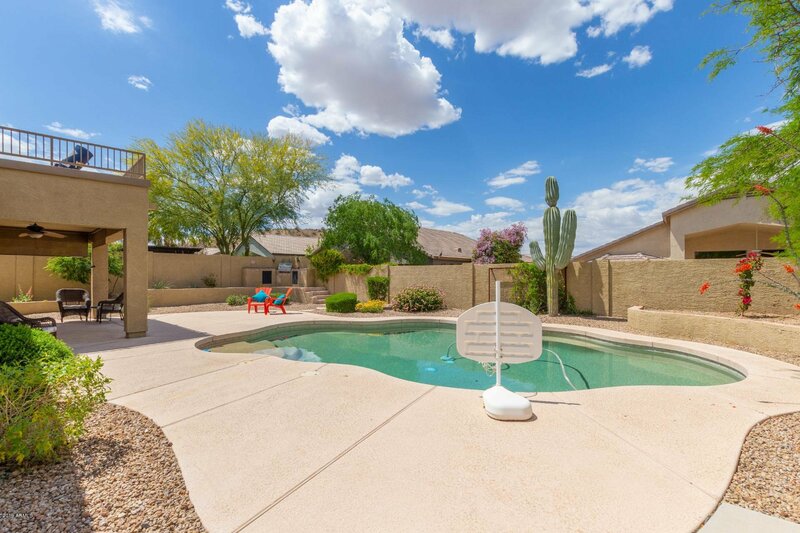 Backyard oasis is complete with two covered patios, built-in BBQ and sparkling pool. 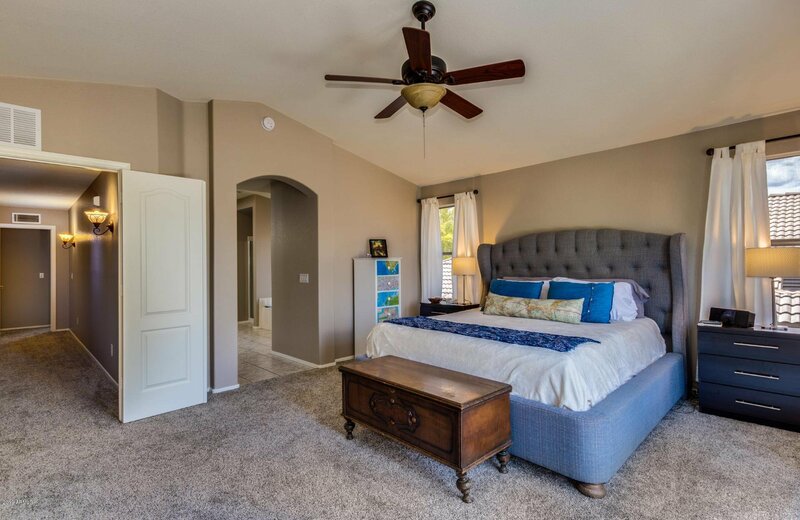 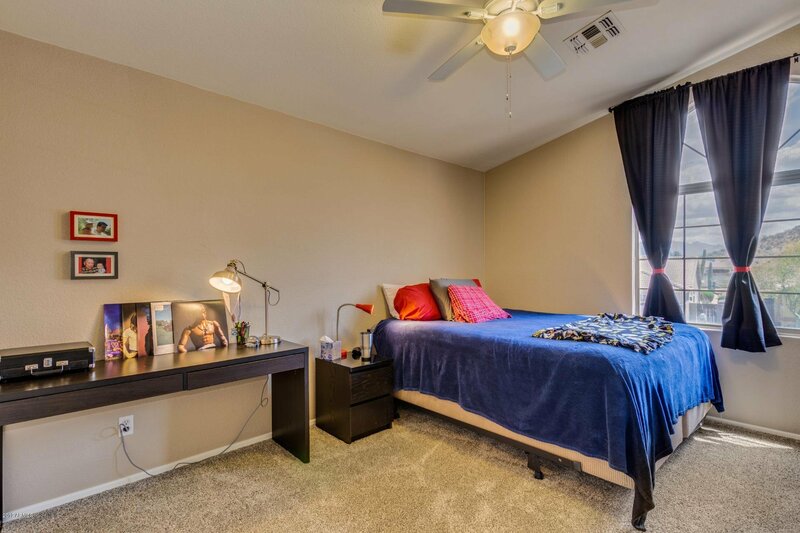 Secondary bedrooms are oversize, with room for queen and king beds. 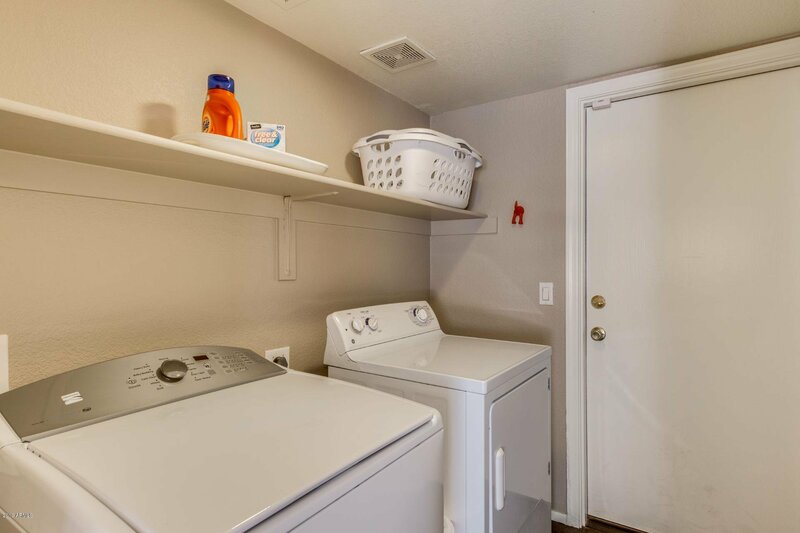 Laundry (with chute!) 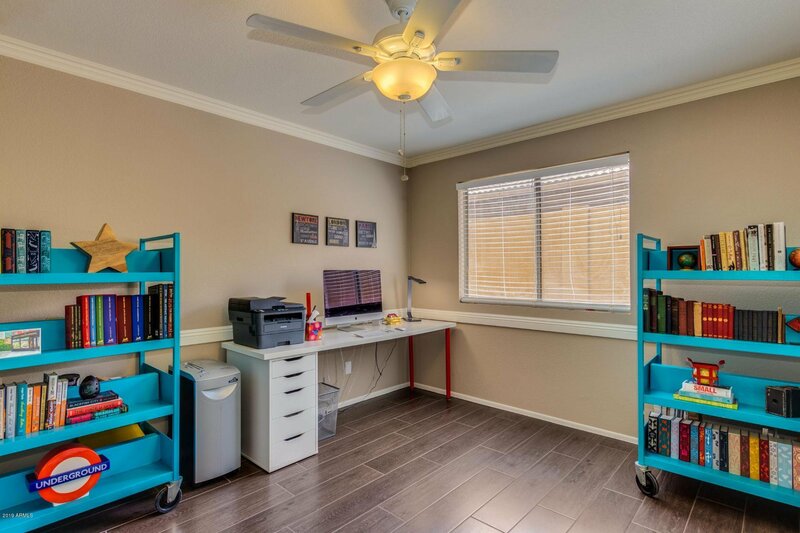 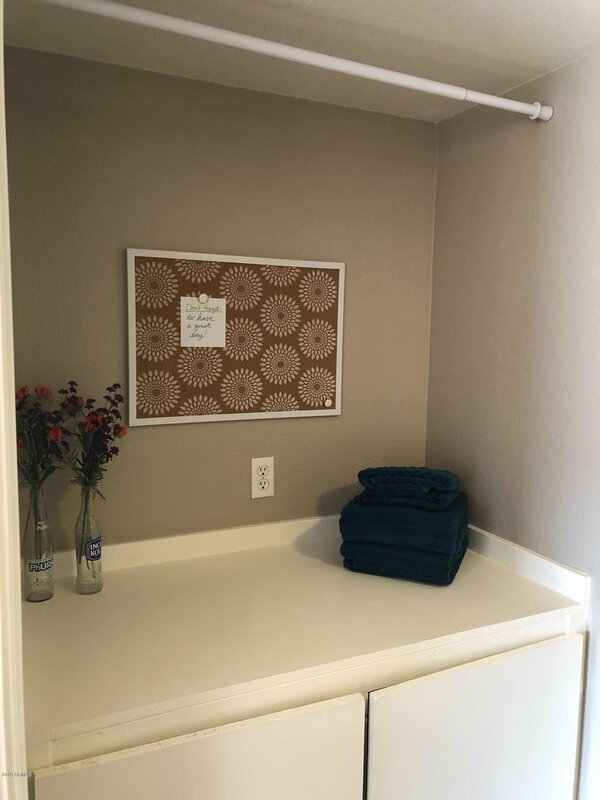 has folding station. 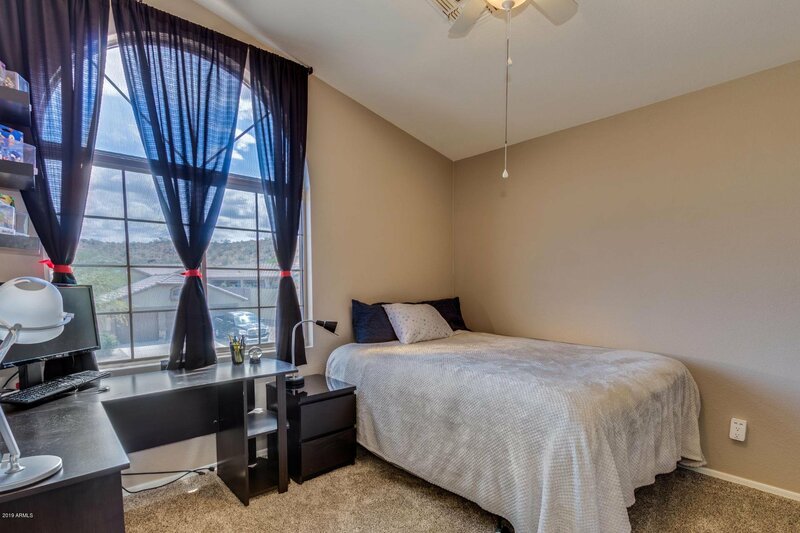 Close to the lake, too! 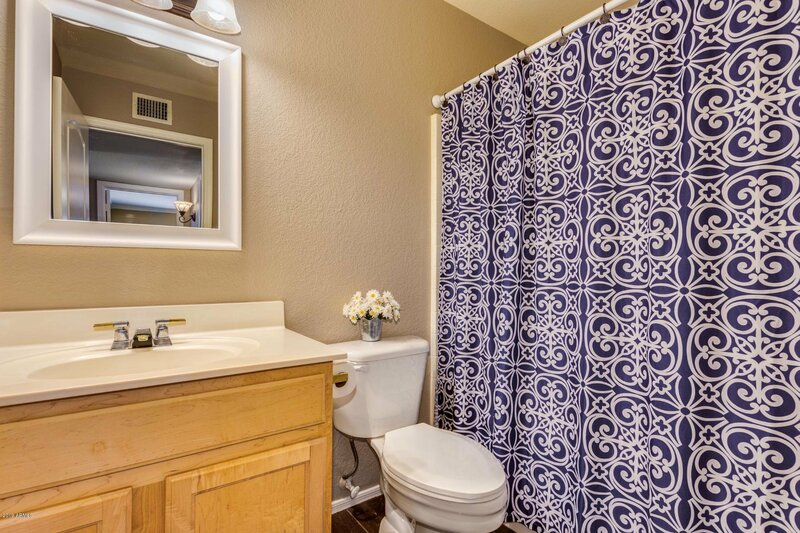 This gem is exactly what you've been searching for.